After careful consideration we have decided to discontinue lunch service at the end of May and focus completely on dinner. Our last lunch service will be May 27th. We're planning to close for a light remodel, Memorial Day through June 2nd, and reopen on Friday evening, June 3rd. 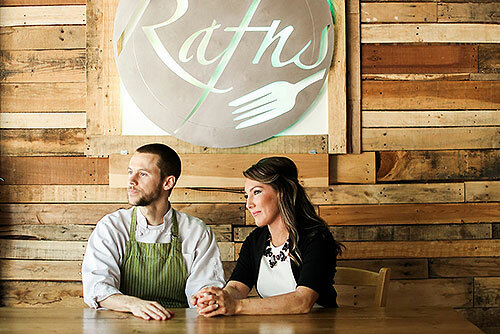 When we reopen, you can expect to see an expanded wine list and, for the first time ever at Rafns', cocktail service! We're also very excited to introduce fresh, house-made pasta to the dinner menu! Our new dinner hours will be 5-9pm Tuesday through Saturday beginning June 3rd. Reservations are recommended by calling 503-580-2936. We really appreciate all of you who've supported us over the last 3 years. We couldn't do it without you! And we sincerely hope you'll continue to support us as our business evolves. P.S. If you'd like to come in for lunch one last time, we'll be open 11:30am-2pm, Tuesday-Friday, through the month of May. Hope to see you!